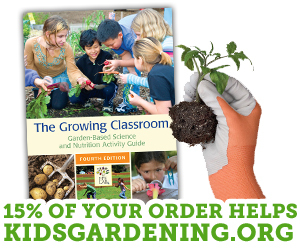 KidsGardening is excited to hear from you, our audience, about how we can better serve your needs in helping children learn through the garden. Would you please take just a few minutes to fill out our 2018 Audience Survey? After completion, you have the option of being entered to win one of two $50 gift cards to Gardener's Supply. Thank you!